The Atlas Select Your Roof App has a new name! RoofSwap! 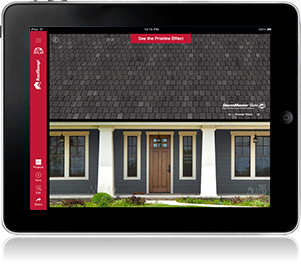 is an easy-to-use tool for the iPad that takes the guesswork out of selecting and purchasing a new asphalt shingle roof. RoofSwap! maintains all the same great features as before - from the Shingle Visualizer to the Pristine Effect - but has now been conveniently assembled into a brand new mood board design to help homeowners make smart shingle color and style decisions. Simply snap a photo with your tablet and see how Atlas roofing shingles would look on your home, or snap a close-up shot of your siding, brick or trim for a comparison. After you adjust for position and size, you can select your style and then swipe to see the many available shingle colors. 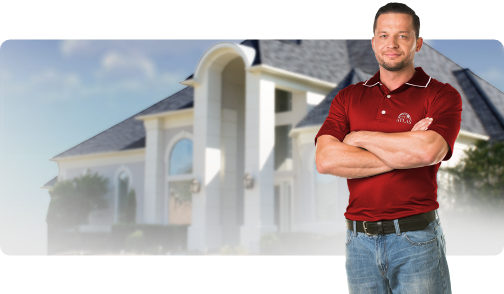 You also can see what algae does to your roof and how Atlas shingles featuring Scotchgard™ Protector from 3M can protect the curb appeal of your home. RoofSwap! now offers seven unique mood board layouts to help homeowners visualize Atlas roofing shingle colors and style options in one holistic arrangement. The "Classic Mood Board" layout will look familiar if you ever used the Select Your Roof App's "My Roof Color Gauge." This layout allows homeowners to view Atlas Designer Shingles featuring Scotchgard™ Protector against the facade of their own home. The Classic Mood Board is truly the fastest and easiest way to see how your house would look with different shingle colors and styles. Simply take a picture of your home, position it and swipe the colors. No frustrating masking or image manipulation required! The next revamped component is the Shingle Visualizer. 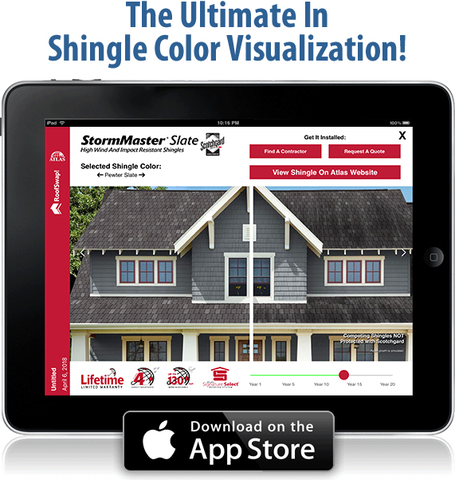 The Shingle Visualizer component allows homeowners to apply various shingle colors and styles to pre-selected homes. Easily create, view, change and save your favorite home and color configurations. You can even share them online with friends. This isn?t your run-of-the-mill visualization tool. Both the Mood Boards and Shingle Visualizer components include Pristine Effect functionality, which allows homeowners to see simulated algae growth over time on shingles that don't feature Scotchgard™ Protector. 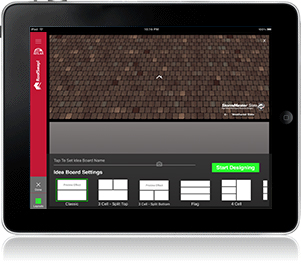 While final color selections should be made from actual shingle color samples, the Atlas Select Your Roof App can help roofing contractors assist their customers to make the best design and product selection decisions about their new roof. Download for FREE today and enjoy!